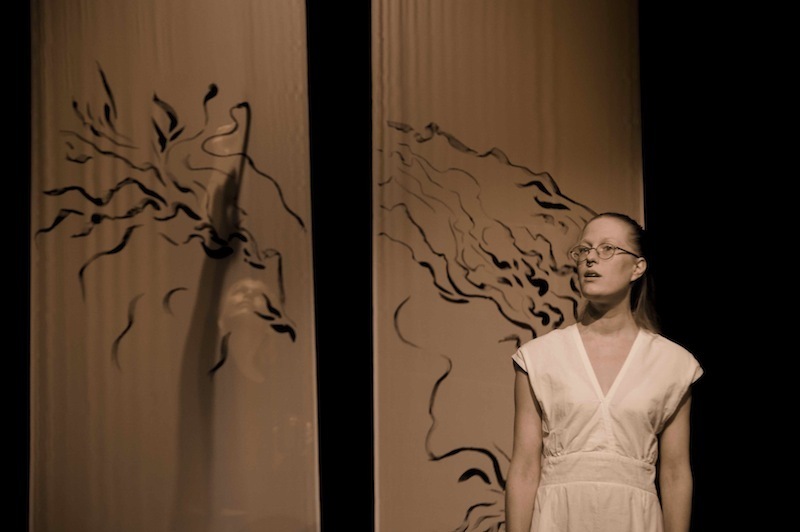 Emma Vilina Fält is an Artist working in the field of drawing, performance art and art pedagogy. Her main interests are in drawing, performace art and togetherness. She graduated from AALTO University, school of arts and design, Helsinki from where she holds a Master degree from Fine Arts and Bachelor degree from fashion design. Vallpiga is a performance of two Finnish sisters Anna and Emma Fält. Our up-to-date project is based on Scandinavian folk music tradition and live drawing by combining these two ways of expressing. The musical background is mainly in Swedish Kulning, or herding calls and some of the Finnish archaic tradition. Drawing is improvisatory representation of affection. Together we create a kind of topography of experience during the concert. In this working process we are contemplating themes like subjectivity and contact. Our work together is a type of sound and line laboratory, a living process for creating and studying spaces. Vallpiga has given us a possibility to explore different ways of interaction. Collaboration is also deepening our understanding of observation. There are simultaneously two layers of working, doing an artistic research by singing and drawing. At the same time we might find new ways of thinking about our work in the field of art pedagogy and healing powers of art. As a multidisciplinary group, we apply to your residency to practice our working methods together. We live in different countries, Anna in Sweden and Emma in Finland. It is hard to find a place for intensive working period. We need to write and discuss about our work. Performance is based on interaction and multidisciplinary ways of working. That’s why it is essential at this point to share the experiences and find a peaceful place and time to survey our methods together and share them with people and different environments.